If you’re finding it harder to get out of bed in winter, you’re not alone. Here’s how you can get a better night’s rest during the cooler months of the year. Large parts of Australia woke to their coldest morning of the year over the weekend, and the winter chill is set to continue well into this week. On Sunday, Sydney had its coldest morning of the year with Sydney Olympic Park a frosty 1.2C at 6.30am, while Brisbane dropped to 5.2C for its coldest morning too. But when it comes to winter, the cooler weather affects more than just the temperature. From differences in air quality to diet and even catching the flu, chilly nights affect how we sleep. With shorter days and colder nights, getting out of bed in the morning can be a real challenge, especially when you leave work at the other end of the day in complete darkness. But the winter months, according to The Sleep Coach Cheryl Fingleson, can be the best time of the year to get a solid night of rest. Sleep coach Cheryl Fingleson says a hot water bottle or bean bag should be part of your winter sleep routine. “Changing winter to summer affects the release of melatonin and the circadian rhythm in the body,” she told news.com.au. Here’s five top tips to sleeping better when it’s cold outside. Ensure all windows are closed and there are no drafts in your bedroom. A cool breeze can wake a sound sleep. Also check that there are is no TV or screen use at least one hour before winding down. A nice warm shower or bath before bedtime is a good way to start keeping warm all night. According to Dr Dianne Augelli of the Centre for Sleep Medicine in New York, there’s evidence that a night shower can help you drift off, if you time it just right. The main trick is to not start too late. A warm shower before bed may improve the quality of your sleep. “You don’t want to heat yourself up right before bed,” she told Time magazine. The body temperature plays an important part in regulating circadian rhythm, which tells the body when to feel sleepy or alert. According to James Horne, a neuroscience professor at Loughborough University in England, taking a hot bath before bed has a similar effect on your core temperature. “When you get out of the bath you cool down more quickly, which is what the body wants to do at bed time,” he said, adding that soaking in water that is about 39C for 30 minutes in the early evening will improve sleep. “Part of the body process when falling asleep is decreasing body temperature,” Ms Fingleson said. In a 2016 study, researchers said people should set their thermostat a few degrees lower when going to bed because the core needs to drop to help initiate sleep. “If our core temperature is too high, the brain cannot easily make the switch from being awake to being asleep, or create the best quality sleep,” Matthew Walker, a professor of neuroscience and psychology at the University of California, Berkeley, told the Wall Street Journal. Flannel is a great insulator and helps to retain your body heat. Other materials that hold heat well are wool, fleece or silk. Merino wool blankets are the best to keep you warm on those cold nights and cold mornings or a thick down doona or comforter. According to Ms Fingleson, flannel PJs or onesie with a long-sleeve vest underneath is the way to go to bed. The fabric has been used since the 1600s to protect farmers from the harsh elements. As its popularity grew, flannel became multifunctional. According to Overstock,flannel was originally made from heavy wool, but got a makeover in the 20th century when bedding manufacturers began combining it with cotton to produce lightweight sheets. Today, flannel sheets still provide more warmth than cotton sheets alone, but they are lightweight enough to keep you comfortable while sleeping. As a side, keeping feet warm is a natural human sedative so wear a pair of socks to bed. Before bed, babies always have milk. This can also translate to adulthood. Any drink that has a high magnesium is good to have before bed. Ovaltine mixed with warm milk will help with relaxation and assist sleep. Warm milk with honey can also work wonders. 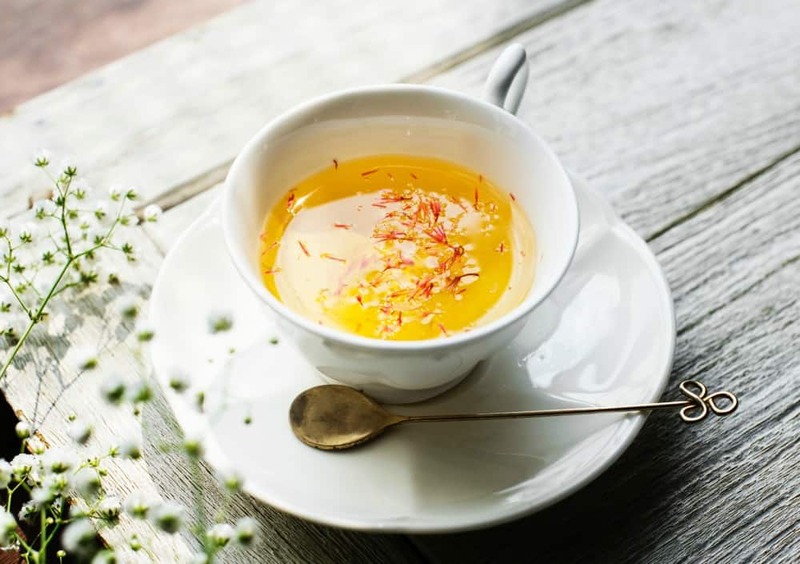 According to Ms Fingleson, herbal blend teas, such as camomile and lavender, contain glycine, an amino acid that acts as a mild sedative, aiding relaxation and our ability to fall asleep. Ms Fingleson said kiwis and cherries, which are loaded with vitamin C, antioxidants, vitamin B6, fibre and serotonin are great before bed. “Nuts are a great source of healthy fats and plant-based protein,” she added. “Walnuts are an excellent source of tryptophan and one of the best food sources of melatonin, while almonds are high in magnesium and calcium. “Certain foods can help synthesise a sleep-enhancing chemical called tryptophan, which helps our bodies make melatonin and serotonin; the hormones that regulate our sleep-wake cycles. Ms Fingleson said not having a regular bedtime routine, watching TV or working on any screens before bed should be avoided if you’re hoping to get a restful night.